Please allow the Cook County Assessor’s Office to address recent inaccurate reports and misconceptions about property assessment in Cook County. The Civic Consulting Alliance (CCA) is studying the assessment and appeal processes, including Assessor’s Office procedures, assessment models, the Cook County Board Review and other aspects. Assessor Joseph Berrios welcomed the CCA study. The study’s timing has been questioned, and Assessor Berrios criticized for it. However, critics and media have ignored the fact that CCA does not report to the Assessor. He has absolutely no authority over their timetable. To be clear, the Assessor’s only responsibility is to fully cooperate with the study. He continues to do that and provides study personnel with office space. Assessor Berrios respects the CCA study which, unlike others, includes assessment professionals. Accomplishments of the Berrios administration are disregarded. For example, it has six straight years of on-time assessments leading to timely tax bills. Previously, bills were late for 34 years. On-time revenue for schools, etc. eliminates $5 to $6 million countywide in monthly interest on borrowing while awaiting revenue. In the last 13 years before Berrios was elected, 39 late months accumulated. Berrios’ zero late months saved taxpayers many tens of millions of dollars, and counting. Past assessors left erroneous exemptions unchecked. 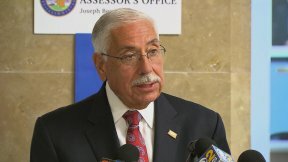 Assessor Berrios designed the law with which he recovers this would-be lost money and returns it to school districts, communities and municipalities. To date, $47.2 million has been billed. More than a year ago, Berrios conceived and began to help pass legislation giving lower-income homeowners greater flat-rate, money-saving exemptions. The Berrios-engineered exemption expansion became law in August. For appeals awareness, CCAO has raised annual community appearances to 238 – and 81 percent are in areas with lower-market homes. None of these things were acknowledged in recent reports. When discussing taxes, please keep in mind the important fact that assessors don’t set tax rates. Also, the State Equalizer has gone down dramatically since Joseph Berrios became Assessor, an indication of fair assessments. The Cook County Assessor’s Office again states, unequivocally, that its estimated property values are fair and accurate. There is no rampant overassessment of lower-market homes or under-valuation of higher ones. Previous administrations employed the same assessment model we use, and they were not criticized. 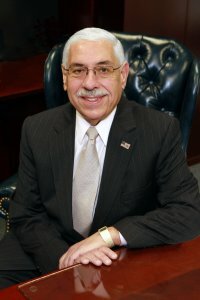 Berrios is criticized, without regard for his tremendous Assessor’s Office improvements – despite staff cuts of 31 percent. The timing is odd. Some observers without assessment experience say Cook County should use a recently developed assessment model. In fact, after initial enthusiasm for that new model, we found it did not work when full implementation was attempted. With 47 years of public service, Joseph Berrios knows assessing Cook County’s 1.85 million properties is difficult. But he gets the job done, works to ensure fairness and to improve the system. Thank you.